In our previous lesson we continued our series on how to hire and manage, with a look at how to conduct initial interviews. In today’s lesson we are going to continue that series with a look at the hiring laws to take in consideration when hiring employees. So let’s get started! Disclaimer: Please note this is not a comprehensive list, may have some unintentional inaccuracies, or have become outdated after publication. You should consult your legal and accounting advisers when hiring. However, we think the following is a great starting point and bring together a lot of the basic information. 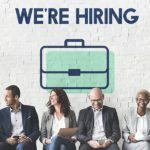 Still looking for employees and not sure where to post your job? We highly recommend you check out Indeed, the #1 job board for small business. Click here for a free $50 credit to post your job on Indeed. Before Your First Employee Starts, You Legally Should . . . The Department Of Labor requires that you have a written record of the following information which is regularly update. 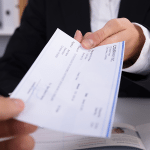 Payroll Deductions – What is being deducted from paychecks? Records Of Hours Worked – Hours Worked and Overtime Hours. also what is the employee’s work schedule. Correctly recording and maintaining employee files can be complicated. There are several great articles on this topic written by Susan Heathfield. Additionally, your employee may have to fill out forms related to state income taxes. To fill out these forms, you will need to provide employees with your Employer Identification Number (AKA EIN or FEIN). Filling out these forms is a first initial step that starts the process of calculating employee’s withholdings, reporting the information to the IRS and transferring funds to the IRS. Additionally, having employees means the business is paying FICA and unemployment insurance tax. These issues are discussed in detail in the following article. Generally speaking, within 20 days of bringing on a new hire, you must report new hire information to the state. (This requirement has to do with making sure that employees are meeting their child support requirements and aren’t inappropriately getting unemployment checks.) You will need to provide information including the employee’s name, address, social security number, hire date and first day of work. Technically, you are verifying the employee’s identity AND their eligibility to work. Unlike the W-4 form, where you are providing the form to the employee to fill out, a representative of the company must fill out this form and collect the information from the documents provided by the employee. In theory, this form can be completed in 5 minutes if the employee has the right documents ready. You don’t submit the I-9 form, but must have it available for authorities to examine. When you have employees, you need to put up notices required by state and federal laws in areas where all employees can see them. While this might seem like a trivial requirement, my local laundromat which has 3 employees was fined for not having the poster up. In 49 out of the 50 states (TX is the exception), you are legally required to buy worker’s compensation insurance when you have employees. In most states, this insurance is bought through the private marketplace. The same broker that you use to insure your business’s property should be able to sell you worker’s compensation insurance as well. For more great info on the requirements for hiring your first employee see this article from the SBA. That’s our article for today. If you have any questions or comments please leave them in the comments section below. Also be sure to read the next article in this series where we discuss How To Avoid Legal Landmines When Interviewing. And don’t forget to check out Indeed, our recommended job board, if you’re hiring new employees. Click here for a free $50 credit. Check the resources page for this article here.